What you’ll learn: the challenges of targeting the right customers, how to expand your client base through referrals, and why golf is Nate’s new favorite sport. 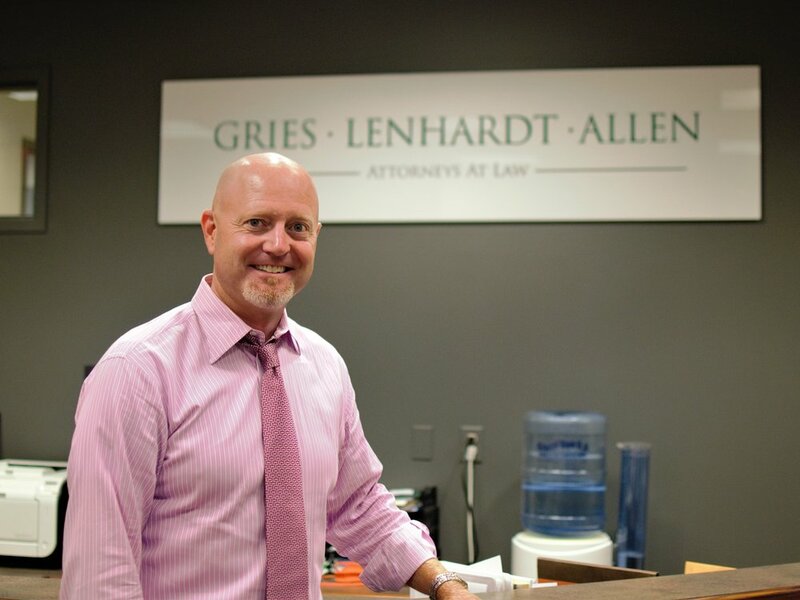 For this feature of Local Business Spotlight we sat down with Nate Allen, the managing partner of Gries Lenhardt Allen, P.L.L.P. They’re a fully-staffed law firm located in St. Michael, Minnesota that handles a variety of legal matters in the areas of corporate law, real estate, estate planning, elder law, construction law and sports law, to name a few. Some of their guiding principles include one-on-one client meetings, community support, and a high standard of service. 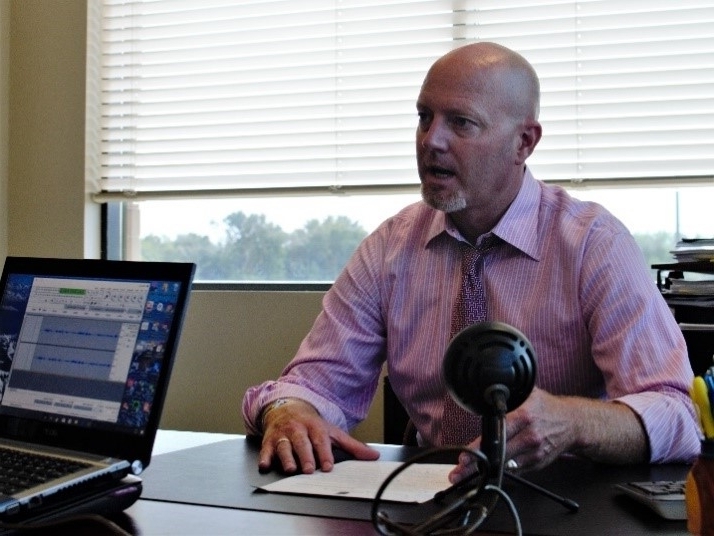 Now that we know a little about the firm, let’s take an inside look with Nate Allen. Nate: My practice is focused on representing small to medium-sized closely held companies, non-profit organizations, and sports organizations. I work on a variety of legal issues for these clients, from setting up new businesses to helping business owners buy and sell their companies. I also assist a lot of them with employment-related matters, such as employment agreements and other key-executive related issues. I also do a lot of commercial real estate work, particularly in the areas of land acquisition, project development, and leasing. I represent both buyers and sellers, as well as, landlords and tenants. Why did you decide to focus on the commercial sector? 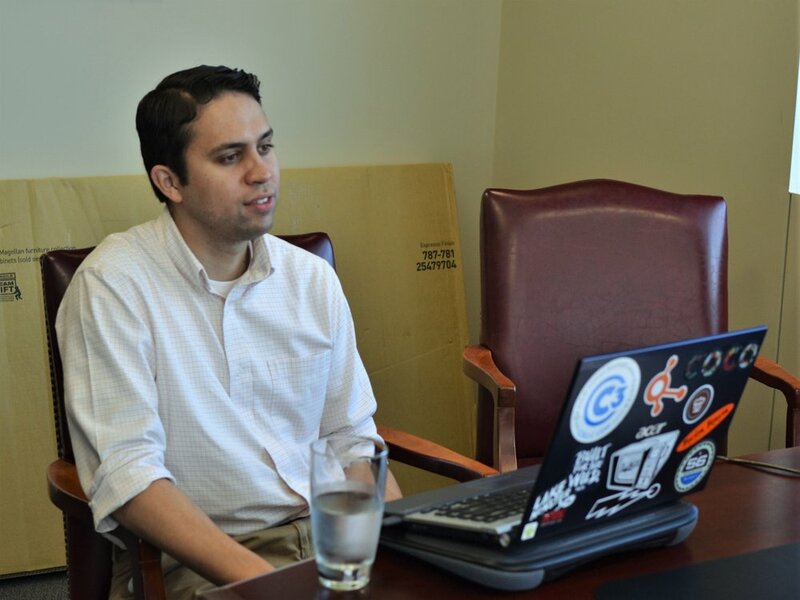 Nate: I worked in-house for Dayton-Hudson Corporation during law school as it was transitioning into being recognized as Target (Dayton Hudson was the parent of Target), so it was a very exciting time. I realized then that I wanted to be involved in representing businesses with their legal issues. However, what I missed while I was in-house was the opportunity to work with a variety of different clients; in-house, the client was always the same – it was the company. Working in the commercial sector in private practice gives me the opportunity to work with a variety of dynamic people, business owners, and entrepreneurs. Plus, those people are a lot like me. I‘m also running a business and working with other business owners gives me a chance to see (and talk to them) about the challenges we face. How did your family influence/support your decision to become an attorney? Nate: They’ve always supported me, which is great. They’ve been a tremendous influence on the type of practice that I’ve tried to develop. I got married in the first few weeks of law school and my wife and I wanted children. So, I knew family would be a priority of mine and I wanted to create a practice that would give me the flexibility to be present in their lives. Having the ability to take time off during the day to go see my kids’ school concerts or leave early to go watch one of their athletic events has been priceless. I also live very close to the office, so I don’t waste time commuting, which allows me to maximize the time I can spend with my family. Knowing what I wanted out of my family life really influenced my decision to go into private practice and build what I’m doing now. Elisha: That’s a great motivation. A lot of people you hear are like, “Career, career, career”. They don’t really think about their family. Nate: Yep. I was the other way around. I started with the family and built my practice around it. Nate: First, I think goal setting is important. In fact, I think it’s critical. I’ve always been a firm believer in setting goals for myself, whether they’re daily, monthly, quarterly, annual, or 5-years out. Also, since sports were a big part of my upbringing, I learned the value of hard work and preparation. I know that if I work hard and plan strategically, I maximize my chances of accomplishing my goals. Finally, I’ve embraced the concept of work-life integration instead of fighting the pursuit of work-life balance. What’s the biggest marketing challenge you face? Nate: This is a great question, but for us, the answer is pretty simple: trying to reach the right prospective client. I’ll give you an example. We recently converted from a very static webpage that we had for many years to one that is more dynamic. In the process, we broadened our marketing exposure and tried to expand our reach online to generate more leads. What we found very quickly was that we were getting more calls and inquiries, but the callers were not always the right type of client for us. Although we handle a variety of legal matters, we don’t do everything, such as family law. With all the attorneys we have, that’s one area we don’t practice. Believe it or not, even though we don’t advertise in this area on our website, one out of every six or seven inquiries we get through our website is from somebody who wants assistance in family law. So, our attempt to broaden the reach of our prospective clients has taught us that we have to be more focused on the specific client we are trying to reach. With that said, the website has generated some additional leads and new clients for some of our practice areas, such as estate planning, but it has been difficult to attract small to medium-sized business owner who really wants value-based legal counsel in running and operating their company. Getting to them has been a challenge. Elisha: One thing that we’ve seen that helps with that is buyer personas. That’s where you create a fictional persona based on your ideal client. Then you target all of your writing and marketing towards that person. What was the percentage of traffic increase that you had? Alex: It increases site traffic by 210% according to some studies. It can increase sales by 94%, that’s e-commerce. So, it’s probably different with a law firm, but you get good results across the board. Nate: Yeah, it’s great to know that, because not all the attorneys at our firm represent small businesses. We have 4 attorneys who do estate planning, probate and trust administration. They’re not necessarily looking for the small business owner either. So, we have to be careful in how we’re writing to reach each segment of the various practice areas we have while trying to exclude the clients we can’t help. Nate: Exactly. Or at least one for each of our practice groups. Nate: This sounds cliché, but it’s so true for what we do, and that is providing consistent, top-quality legal advice and great customer service to our clients. Hands down, personal referrals are our best source of marketing. Historically, our firm has not done a lot of traditional marketing. For example, we’ve never had a billboard or TV commercial. We’ve done some small radio ads, but those were mainly to support our local sports teams that go to State. Our number one marketing strategy is to do good work, take care of people, and hope that they tell their friends, family, neighbors, and colleagues about us. Elisha: Referrals are the best. You have the highest return on investment with referrals. When somebody comes on a referral, they’re usually going to hire you. Nate: That’s exactly right and to piggyback on what I just said about the challenges we face in finding the right client, referrals are usually the type of client we’re looking for. If I do good work for a business owner client of mine, it dramatically increases the chances that if that client is at a breakfast meeting or a networking seminar, he or she might refer someone they meet to me who’s looking for a new lawyer. By far the best marketing success we’ve had is consistently doing good work. What’s one thing you find to be true that most people would disagree with? Nate: This is an interesting question. Let me answer it two ways. From a purely legal perspective, it’s that the court system is broken. Although it serves a vital role in our society, it doesn’t serve the general population of citizens or small business owners the way it should. It’s become too much of an expensive, time-consuming procedural game amongst lawyers, rather than a fact-finding institution to resolve conflicts. Outside of the legal world, I would say that the focus of businesses should be on adding value. I think a lot of people in business would disagree and say that making money should be the focus. For them, making money is the barometer of their success, but I don’t approach work that way. I try to focus more on adding value – to my clients, my staff, our community, etc. If you could time travel back to day one of your career to tell yourself lessons you’ve learned that would save a lot of problems, what would you tell yourself? Nate: Focus on doing what you enjoy. I say that because I think ultimately that’s what you’re going to find that you’re the best at. And, in our industry, I’ve learned that people can spend countless hours, days, months and even years working on certain legal matters, even though they don’t like it. Our industry is competitive and young attorneys are frequently entering the workforce with significant debt from student loans. So, there is a lot of pressure to simply find a job. There are a lot of different areas to practice law. Find one that you really like and stick with it, regardless of how lucrative it might be. If you’re going to do this for a long time, you better like what you do. Find something you are passionate about, chase it, and you can be great at it. 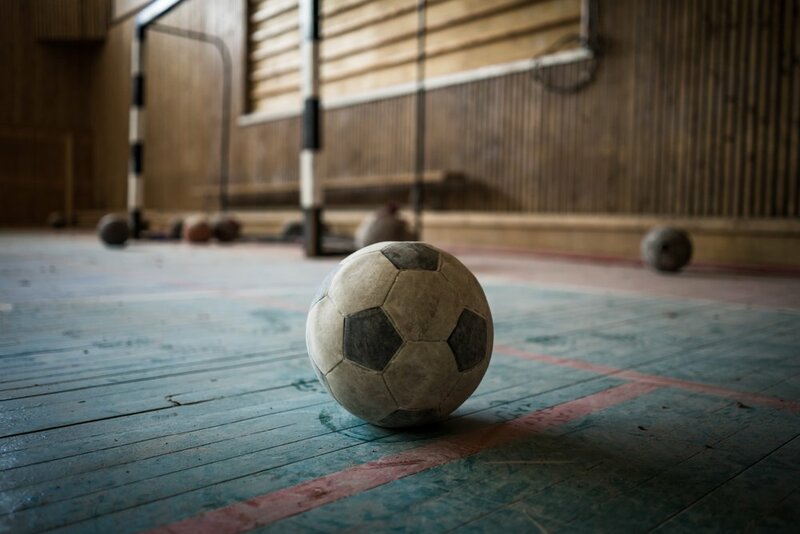 What sport do you enjoy playing the most and why? I am a bit of a sports enthusiast. I grew up playing sports and for the record, soccer is by far my favorite sport. However, I can’t play it as competitively as I used to, so the answer to your question is golf. A lot of my clients play and I’ve met a lot of new clients on the golf course. Golf gives me an opportunity to interact with my clients, referral sources and prospective clients on a more personal level. I truly believe that I can better serve my clients if I know them as individuals and human beings. I can learn about what motivates them, how they approach business, and what their goals are, in life and at work. I love spending 4 or 5 hours with a client, referral source or prospective client – just getting to know them on an individual level. And, you know what, you can learn a lot about someone’s character while playing golf. Nate: It’s hard! People don’t realize how hard it is. I didn’t grow up playing golf. I started playing during law school and didn’t really get the bug until after law school. Despite how hard it is though, it’s a lot of fun. If you’d like some help with your business’ legal concerns, you can contact Nate here. Did you enjoy this interview, and want to tell the world more about what you do? Contact us and we’ll feature you in an upcoming Small Business Spotlight.